Calderdale Council, which will provide the training, said it took the decision on the recommendation of its Licensing and Regulatory Committee. Calderdale Council’s Cabinet Member for Communities, Coun Marcus Thompson said: “Safeguarding people is everyone’s business. As taxi drivers spend their time travelling around our towns they are in a unique position to see and report anything they feel concerned about, whether that’s a child in the wrong company or an adult who seems vulnerable. All 1382 existing holders of private hire, hackney carriage or dual badge licences in Calderdale have already passed a knowledge test, which examines their understanding of the licence conditions and their geographical knowledge of the area. 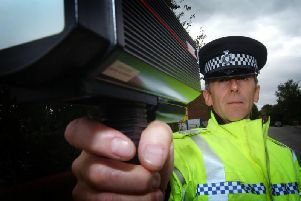 But they will now be required to complete the new course to retain their licence. The course will be delivered by West Yorkshire Police, Calderdale Council, the Calderdale Safeguarding Children Board and Nadeem Mir, the former Chief Inspector for Greater Manchester Police. The four hour session, which is free of charge, will cover the key areas of responsibility for licenced drivers, including protecting children from child sexual exploitation, domestic abuse; disability and access for all; keeping safe and reporting incidents; maintaining a safe vehicle and being an ambassador for Calderdale. Once existing licence holders have successfully completed the course they will graduate and receive an attendance certificate at a civic reception at the Victoria Theatre, Hailfax, on October 21. New applicants will be required to successfully complete the course before their licence is issued.